In terms of forecast price momentum for Yorkshire and Humberside, this region clearly lags the national average as a consequence of deeply rooted socialist economic tendencies that results in a much larger public sector, and conversely smaller private sector, the consequences of which has meant a deeper impact of government spending cuts and less developed private sector to fill the gap than for instance the South East region. Therefore I expect Y&H to lag the UK average by about 3%, thus the region targets an annual price gain momentum of 7% per annum by the end of this year. However the averages mask the real price trends which is the differences in trends between affluent, middle and deprived areas both within regions and within individual cities. Population Growth and Decline- Some areas of the city are witnessing falling or stagnant populations, which usually effects the mid range properties of an area rather than those at the higher or lower end, such as the North and the South of the City, which results in those seeking to sell properties over inflating asking prices as they compare general price trends across the city against their own properties expectations. 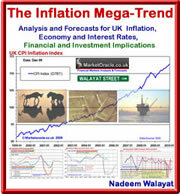 The effect can be as serious as making the difference between 50% price increase over 10 years. Local Schools Changing Performance - House prices can be effected in both directions if the local schools improve or decline in performance over time, which in some instances may fail to register with home sellers as their children may have grown up many years ago. However, whilst the teachers of 'GOOD' schools can boast of their hard work, the truth is that it is the PARENTS who determine whether a school is good or bad and NOT the quality of teaching. The facts are that middle class parents go out of their way to educate their children including much extra curricular activity. Whilst parents of deprived area's tend to wholly leave it to the FREE state to educate, and pay little regard to extracurricular activity or other factors such as general behaviour. House Price Crash Aftermath - Houses tend to crash hardest in the deprived areas, as they are last to join the boom and first to feel the bust. Whilst affluent 'good' areas are nearly always in demand and thus price falls are cushioned. This also means that poorer areas are likely to see a greater percentage gain as they are starting at a lower base. Rivers - Up until June 2007 when Sheffield was hit with the Great Flood, many Sheffielders had never taken the issue of flooding seriously, however that no longer applies where the path of Sheffield's many rivers has negatively impacted on house prices that are deemed to be at risk of flooding and therefore likely to incur difficulty in insuring, which effects both affluent and the poorer areas equally, where a matter of a 100 metres can effect similar houses to the difference of as much as 25% in price as well as resulting in greater supply on the market as these flood risk housing is more likely to remain on the market for far longer than properties elsewhere. The same holds true for all of the UK's major cities that are built on canal and river water ways. New Houses - New housing stock usually from the low to middle price range areas of the city are unlikely to appreciate much during the first 10 years. Which can result in over valuations by sellers as they price their houses in terms of how average properties in their area's have appreciated. New stock tends to be created in greater quantity more in the lower price category. Competition for Properties - The affluent areas attract greater competition for properties than the more deprived areas, especially as they are the prime locations for those migrating from more affluent areas of the UK such as London, i.e. 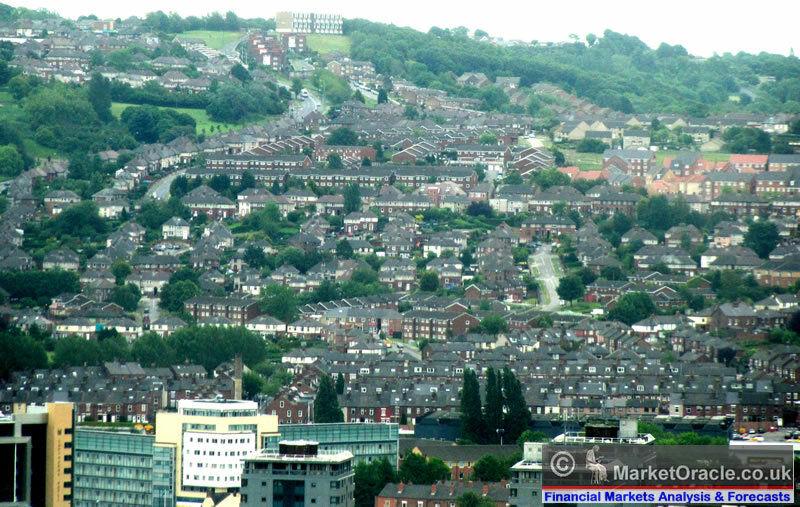 someone moving to Sheffield from London is approximately 20X more likely to buy a property in S10 or S11 than S5. Competing Estate Agents - There is be greater competition in affluent areas between estate agents for business due to higher potential commissions, therefore there is a tendency to more aggressively value these properties so as to secure business and shut out other agents. Crime Rates - Even a few bad crime stories of shootings and killings can have a significant and lasting effect on buyer sentiment for an area as well as the longer-term trends for crimes such as burglaries. Social Housing - Areas with more social housing will tend to see less appreciation in house prices due to the difference in presentation of properties between social housing tenants and owner occupiers. No or Negative Equity - Home owners in the less affluent areas tend to be trapped into little or negative equity properties and thus will find it difficult to price their properties at a level that the market will bear. Whilst there is a greater propensity for demand from cash buyers for more affluent properties. Immigration - Continuing high immigration, increasingly results in the indigenous population migrating out of these areas towards the more ethnically similar areas of the city i.e. which mainly means the more recently built suburbs. This tends to result in demand for middle end properties in in the suburbs as well as for the high immigrant areas, where particularly for rental investment purposes rather than larger residencies for own occupation. Public Sector Recession - Just as the Olympics boosted many areas of London, so is the public sector recession as a consequence of 500,000 public sector job losses depressing areas where public sector works tend to reside and that impacts harder on Northern UK cities such as Sheffield, Liverpool, Newcastle than Southern cities. 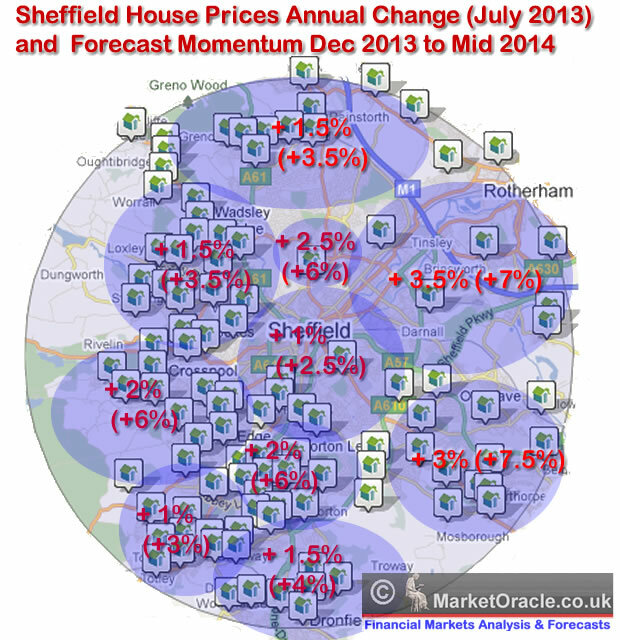 Therefore resulting in weaker prices for those areas of Sheffield where public sector workers tend to reside i.e. inner city middle income bracket property areas, hence higher supply resulting in a very wide margin of difference between seller expectations and what the market is actually prepared to pay for such properties. Private Sector Boom - Conversely whilst areas heavily reliant on public sector employment suffer, areas of the city populated by professionals and business people are benefiting in terms of the coalition governments policies of zero interest rates easy money, as business are able to profit from emerging opportunities as a consequence of a shrinking public sector against which they were previously unable to compete. Distance from City Centre - Affluent areas that are within 3 miles of the city centre tend to be far more in demand than those further away that would demand greater traveling time i.e. in Sheffield's example S11 is far more favoured than S17 for this reason. These key drivers for Sheffield are just as valid for most UK cities. 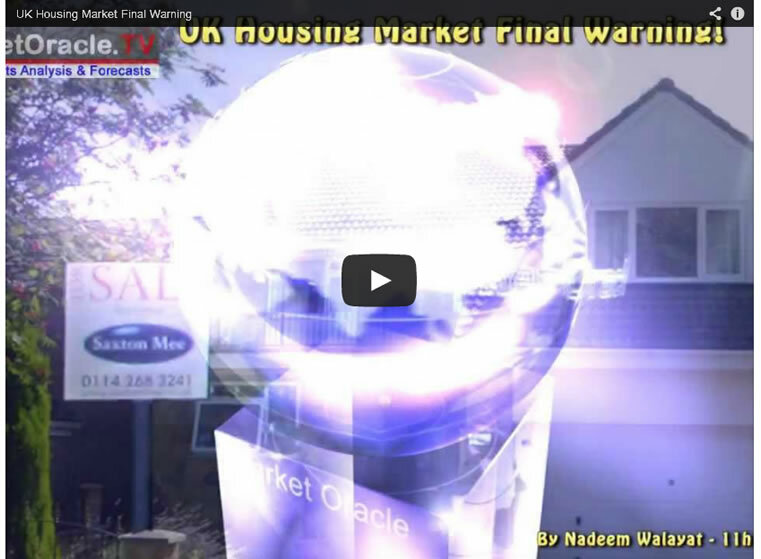 Ensure you remain subscribed to be ALWAYS FREE newsletter to get my next in depth analysis in the unfolding housing bull market series in your email in box.